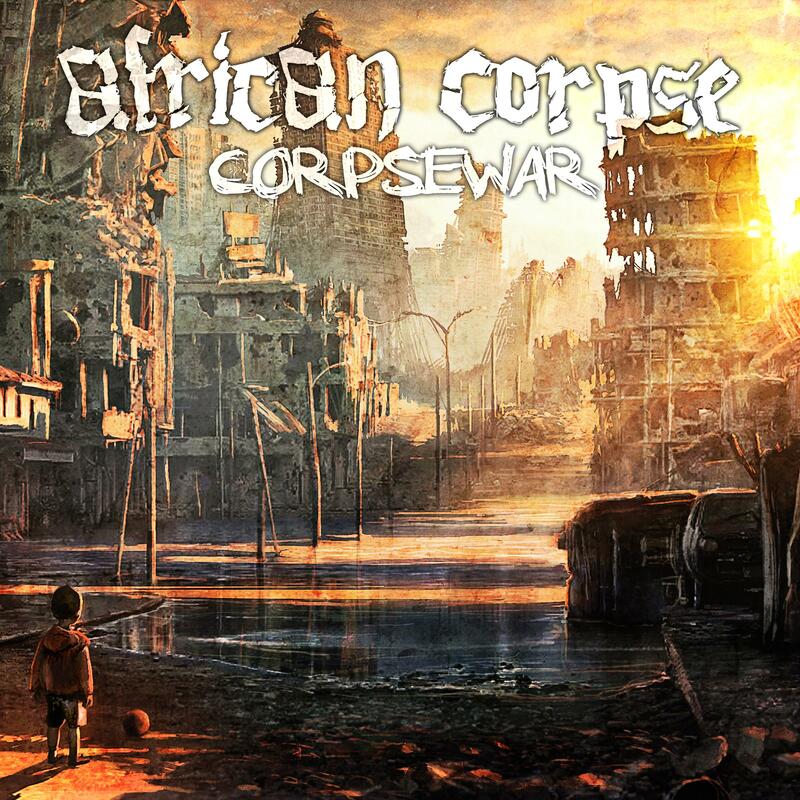 AFRICAN CORPSE is a mixture of brute vocals, aggressively forcing drums and the guitars' uncompromisingly interaction. The young Thrash Death Metal Band from Heilbronn located in the South of Germany (Baden-Württemberg) wants to show the harshness and brutality of life. Its name AFRICAN CORPSE is due to the same titled song "African Corpse" which describes the daily hunger and death of the poor all around the World. "Everybody knows but nobody cares" - This global injustice has to be fought! The band gets involved with aid organisations and charity projects. But for all that serious themes they enjoy their music and start up an energetic and intoxicating show. Formed in spring 2009 the four young Swabians Christopher Aldinger (Vocals/Guitars), Alexander Klein (Guitars), Daniel Rieth (Bass) and Conner Nelson (Drums) developed their own style mixing Thrash and Death elements with modern powerful and heavy parts. After a self-produced Demo EP called „African Corpse“ in 2009 with more than 15.000 downloads and 300 copies. The band played quite a few concerts with well-known bands as U.D.O, WE BUTTER THE BREAD WITH BUTTER, DEBAUCHERY, ATROCITY, and HORDE. Their debut LP „Corpsewar“ will be released in autumn 2013. This September they lift out its titlesong „Corpsewar“ with a music video.